If you celebrate Mardi Gras, you'll love this collection! 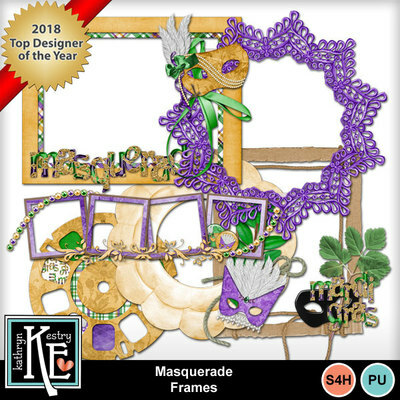 Loaded with masks and other Mardi Gras goodies, how great your festival photos will look in the traditional colors of purple, green, and gold! There's even a king cake included AND beads, charms, and lots of glittery surprises! Use collection for any dress up occasion, masked balls, and parties! Let the good times roll! Save with the bundle and get the 2 quick pages FREE!